This year, the four-day event was packed with a full schedule of networking, educating, and engaging — in a way that only supply management professionals could pull off. There were a number of big-name speakers, such as General Colin Powell and former Prime Minister David Cameron, who brought unique perspectives to the industry, but many sessions were led by professionals at companies like Rolls-Royce, US Steel, Google, and Pfizer. Between sessions, we had plenty of catching up to do with our “30 Under 30” Rising Supply Chain Stars, in addition to doing demos of the newly released THOMASNET.com Version 3 in our booth. Logistics allow you to face and defeat an enemy. 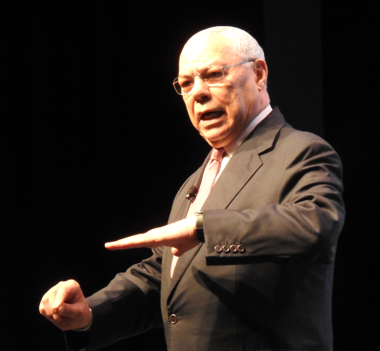 General Colin Powell, who was the first keynote speaker at the conference, referenced his vast military experience in discussing supply management. He offered up a few anecdotes of how logistics was crucial to success in war zones — going as far to say that “Desert Storm was won by logistics.” Even more recently in Iraq, where we put troops on the ground before we had the ability to supply them, he said it gave an advantage. He likened his experience to a more commercial world by pointing out the complicated relationships between countries and technology's impact. Although many people in the industry bash AI and say it eliminates jobs, it actually creates them — we just need to create education opportunities for those who need to retrain. The model of the future centers on technology, Powell said, which is why it’s crucial to invest in STEM education and other initiatives to ensure we’re at the leading edge. You’re making it easy for SMBs to ignore your RFIs/RFQs. THOMASNET.com's Ed Edwards and Seelye Acquisitions, Inc.'s Paige DiChira-Bowen discussed the advantages to adding small and mid-size businesses to supply chains (fast turnaround times and lower cost). Specifically, they covered why some SMBs might be intimidated to work with larger companies and how buyers are setting themselves out for failure (complicated/irrelevant forms, no transparency). What you do is hugely important in the global economy. David Cameron, much like Colin Powell the day prior, talked about the complexities of a global supply chain. Specifically, he touched on outsourcing and overseas sourcing, which is obviously a hot-button issue for folks in the U.S. 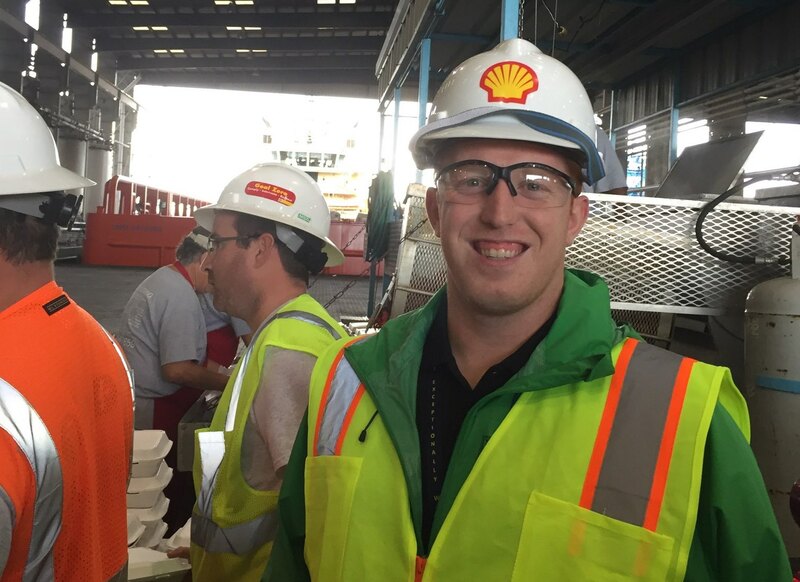 While many in North America are investing in reshoring and bringing sourcing back within their borders, Cameron argued that a global supply chain and creating opportunity for lower income countries is a good thing. That said, technology continues to help make manufacturing more affordable in all countries, consumers are starting to care about more than just cost — they care about how their products are made. 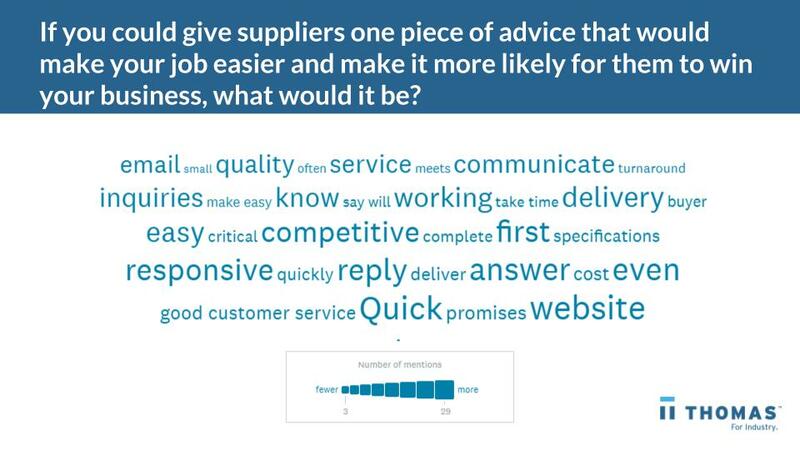 Add it to the list of factors to consider when sourcing. Supply chain has a bright future. 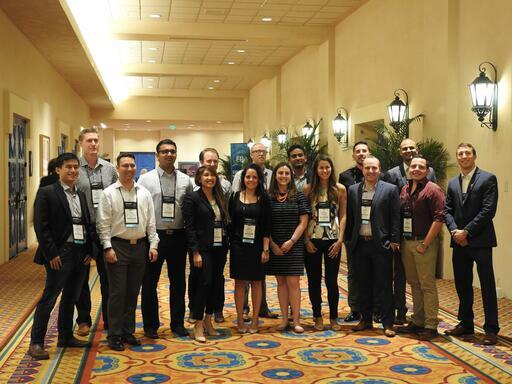 The 2016 30 Under 30" Rising Supply Chain Stars, a THOMASNET.com and ISM recognition program, shined at the conference. Hailing from companies such as SpaceX, GE, and Johnson & Johnson, these rockstars have paved the way for positive changes within their organization. See more from the Supply Chain Stars in our Facebook album from the event. There’s even more opportunity to better source suppliers and products. Tony Uphoff, our President and CEO, sat down with Manufacturing Talk Radio to discuss the transition from the “big green books” to what THOMASNET.com is today. He also touched on our partnership with Dun & Bradstreet, financial risk in the supply chain, our recent Version 3 release, and the future of industry. The buyer-supplier relationship is always going to be complex — and there’s always room to improve communication and processes, which is why the meeting of the minds at ISM every year is a great opportunity for us (and for you).